Ahhh, the mobile app RFP. How many of these have you seen over your app development career? For most of us, deciding to bid on a mobile app RFP is a complex question of calculating the project’s scope versus the budget, then dividing by the timeline, consulting your staff’s throughput and then finally deciding whether it’ll be worth it. If yes, you put in your bid, if not, the RFP goes into the trash. The thing is, nowadays, successful app development companies do more than just build apps – they’re offering a complete mobile application performance management package with services like app store optimization, analytics, crash reporting, push notifications and more. 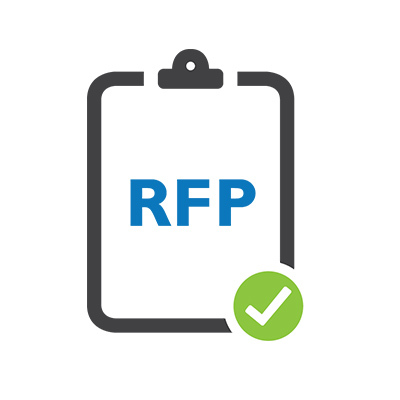 So, the next time you get an RFP that might ALMOST be worth your time, instead of tossing it, use it as an opportunity to suggest the addition of services that the client might not have even thought about. With that in mind, here’s five questions to ask when you see your next mobile app RFP. WHAT EXACTLY DO THEY WANT FROM THEIR DATA? Sounds simple, right? Sure, in the RFP your client might be using buzzwords like synergy and storytelling and disrupting, but what exactly what type of data services are they looking for from your mobile development firm? Do they need database connectivity? If so, how much? What about APIs? Can they use standard development APIs or will you need to write custom ones? If all of this is above and beyond what you can provide at your company, think about finding an mBaaS that you can tie in to your development process. A great mBaaS provider is going to give you complete control over your data as well as offering services like OAuth security model implementation, capacity planning, system upgrades, OS patching, maintenance windows and the like all wrapped up in a highly scalable platform. WHAT HAPPENS WHEN THE APP IS DONE? Is this app a one-off build, or does your client want you on board for updates and maintenance? If your client wants you to maintain the app, for how long? A typical RFP might include three to six months of updates, but you might want to sell your client on a longer-term plan. Don’t forget – it’s not just apps that get updated, but operating systems as well. Is that latest Android update going to totally hose your client’s app? Offer them an add on service like crash reporting so you can immediately pinpoint the causes of app crashes and get them fixed quickly. Then you’ll look like a hero. Even better, let your client know that your crash reporting integrates with popular productivity platforms like Slack, Jira and Trello. And what about app analytics? Active users, app downloads, user retention, session analysis, breakdown by device – are these statistics that your client is going to care about, or are they even aware that this is something you can report for them? HOW ARE YOU KEEPING USERS UPDATED? Did you know that sending users push notifications can increase app engagement by as much as 88%? Take a look through your client’s RFP and see if adding push notification capabilities is something that they might be interested in. Maybe it’s something they haven’t even thought about. If you have been put off by prices, the push notification market has grown increasingly competitive. But, we can hear you say, you’re already going to be maintaining their app, who has time to deal with push messaging? Alright, then what about letting clients send THEIR OWN push messages. Aha! In that case, when you’re shopping for a push service, one feature you’ll want is a dashboard or interface that gives users the ability to send their own push notifications – including emojis, badges, deep linking and more.Other features you’ll want to have in a push notification service for laser targeted marketing are segmentation and geofencing. WHAT HAPPENS IN THE APP STORE? Once the app is done and in the app stores, is that the end of your relationship? Is your customer even aware of the recent changes to both the Google and Apple app stores that penalize out of date apps? If not, let them know. And, while you’re doing that, use this as an opportunity to sell them on the benefits of App Store Optimization. Keeping up with app store keywords, uploading app videos, adding the right screenshots, responding to reviews and keeping an eye on the competition is an important part of keeping an app at the top of the download lists. DO YOU WANT MONTHLY REPORTS? And, lastly, wrap up all these awesome mobile application performance management services you’re offering to your client in a custom report (branded as yours, of course). App downloads, installs, crash reports – all delivered in a comprehensive, easy to understand, well laid out PDF. Let your client know that this is something they can include in their RFP and give them the peace of mind knowing that, if they decide to go with your company, they’ll be confident in knowing that they’re getting exactly what they’re paying for. Both of you will rest easier and your client will see this as a sign of your professionalism and recommend you to other clients. WHAT QUESTIONS DO YOU ASK WHEN YOU SEE A MOBILE APP RFP? RFPs have been around with us and they’ll be around for much longer. It’s always a delicate balancing act to find the right projects for your company that will both be a challenge to work on as well as being profitable. But by asking these five questions when you see your next RFP, you might be able to unlock some additional value for your company, as well as winning over more clients and locking in recurring work far into the future. And if you see a question that you always ask about your RFPs, feel free to leave a comment below or reach out to us on social media. And if you’re not offering a complete mobile Application Performance Management package to your clients and think it might be a great way to add services to a client’s RFP – why not drop us a line? We won’t toss your RFP to us into the trash. Promise.